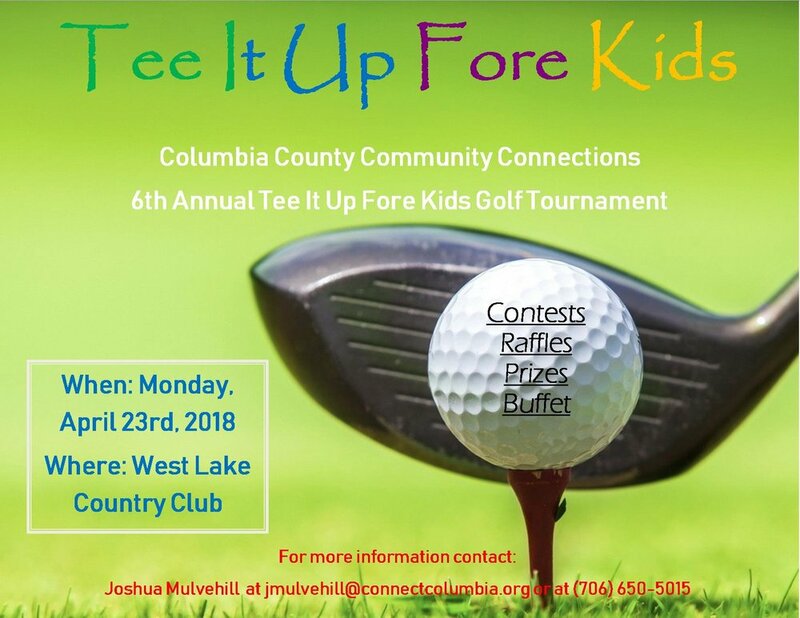 Don't forget about the upcoming Tee It Up Fore Kids Golf Tournament on April 23rd, 2018 @ West Lake Country Club. Contact Josh Mulvehill for ore information by email: jmulvehill@connectcolumbia.org or by phone t (706) 650-5015. More information, such as sponsor information and cost-to-play can be emailed as well. You can also click HERE to access more information and the sponsor Form.